The psychology behind a child's ability to focus academically or follow rules can be positively influenced by the environment. Parents and caregivers can help children with sensory processing disorders or developmental issues ease into everyday activities with simple games and activities. In the past, we co-hosted a play based learning linky party with Nikki at Spectrum Psychological. Sensory play is a sneaky tool to help your child learn important motor skills, early literacy skills, and cognitive thinking skills. 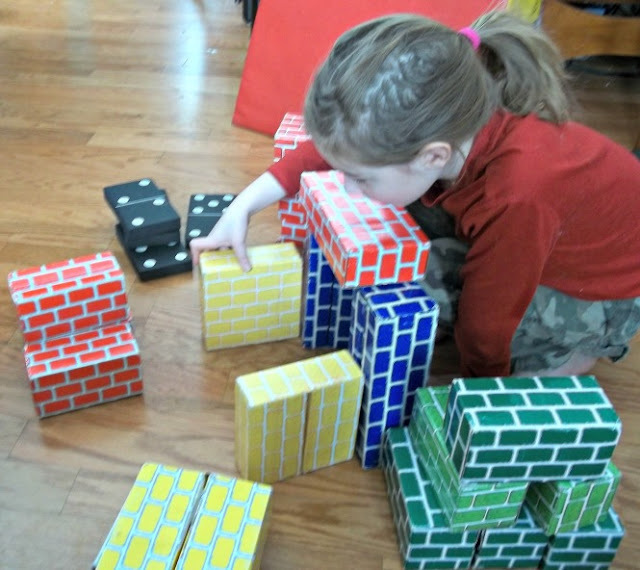 Block play is beneficial to the brain. If your child suffers from a child development disorder, you may want to consider alternative education options such as Montessori or Online Public School. If one option doesn't work, keep trying until you find the right fit or your family. 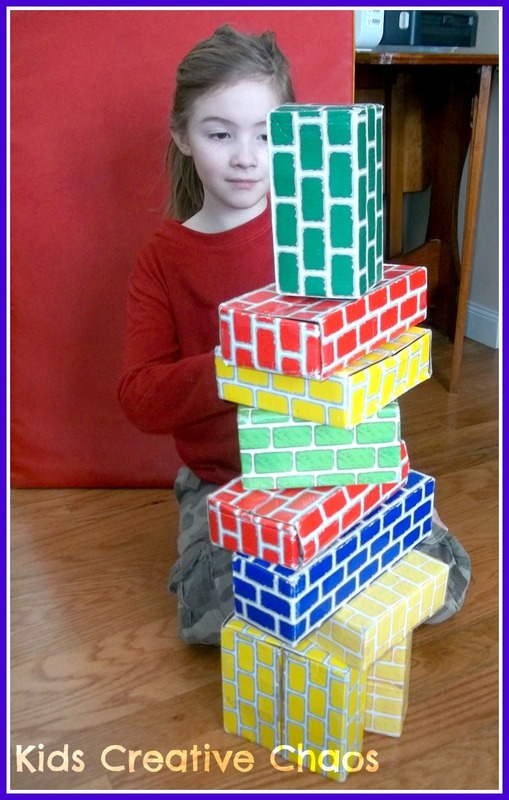 Keeping a tower from toppling is a lesson in patience. We have been fairly successful with Online Public School. I have two very different gifted children. One enjoys learning, the other one does not. As she approached second grade, she struggled with what was once only considered age appropriate hurdles. Her continued transposing of b's, d's, g's, 5's , and 3's was being considered as a form of Dyslexia. Compound words are transposed, numbers and letters reversed, and she read from right to left. Update: She has been diagnosed with ADHD, Visual Processing Disorder, and within the Autism Spectrum. The public online school aided in the diagnoses with an evaluation with various specialist including a school psychologist, a speech pathologist, and special ed teachers. To my surprise, she was evaluated as gifted in several subjects and learning disabled in mathematics. We were given an IEP (Individualized Education Plan), and she has special accommodations when testing. In this case, we struggle with everyday writing tasks. As the learning coach, it is my responsibility to find ways to make school work fun. The easiest way is to avoid writing anything down on paper. Of course this isn't always realistic, so we supplement with less frightening activities. Using a dry erase board can make the daunting task of writing seem like a privilege. Alphabet magnets on a door turn the chore of spelling tests into a game. Just changing the media alleviates some of the stress making it easier to get started on school projects. 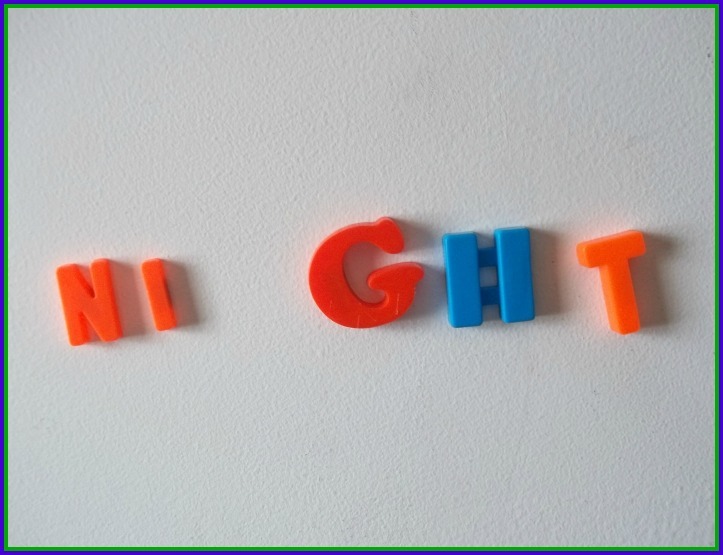 Magnetic Alphabet Letters add a sensory element to writing lessons. Gifted children face child developmental issues too. While one struggles with learning, the other faces many different challenges. The brain is busy soaking up knowledge, but gross and fine motor skills seem less important- think absent minded professor. His need for perfection not only stifles his creativity, it also frustrates him to the point of melt downs. So, what is child development psychology? It is a combination of child development and development psychology meaning the study of physical, cognitive, and social changes throughout our life cycle or in this case throughout childhood. Piaget describes Early Childhood Development as children behaving as little scientists. Children focus all of their time and attention on learning, be it through play or studying and mimicking others. Sensory play is essential to child development. Children play to learn- Let them! Aid your child's development by encouraging sensory play with homemade play dough, oversize blocks, a costume trunk and mirror, and educational sensory bins filled with colored sand or rice embedded with fabric or block letters. Teach them it's okay to get messy with edible finger paint or let them make mud pies. Turn your no into yes, and forget about the mess. Focus on can-do to build self-esteem and positive emotional development.